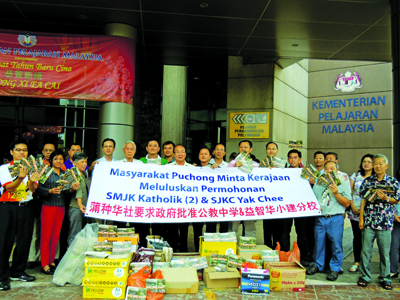 PUTRAJAYA: Calls for the approval of Catholic High School 2 and SJK(C) Yak Chee in Puchong are gathering momentum after campaigners submitted 60,000 petition cards to the Education Ministry here. Why not?! Just Do it! We need school for the next generation.